SORTRAK G4 is the product of an extensive research and development effort by SDI. Our objective was to produce an economical solution for unit level sortation offering the flexibility of traditional cross belt and tilt tray technologies. 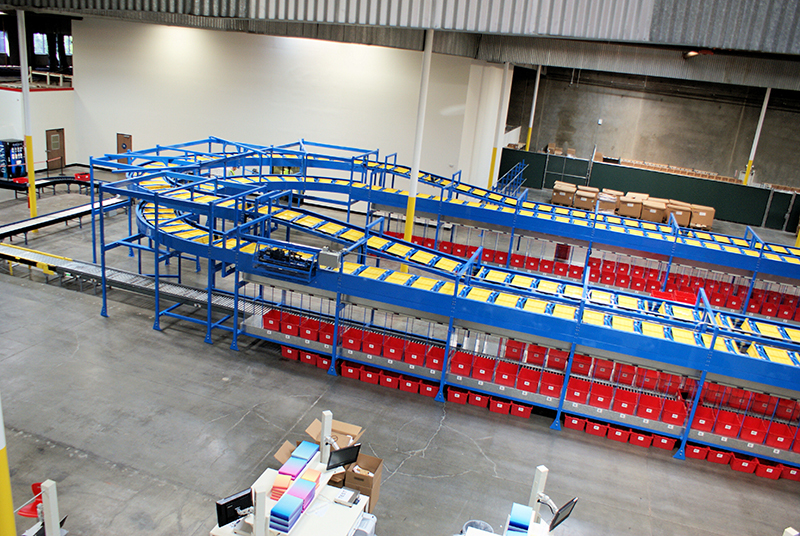 SORTRAK G4 enables elevation changes to all levels of the Distribution Center, saving money and using all the space available. 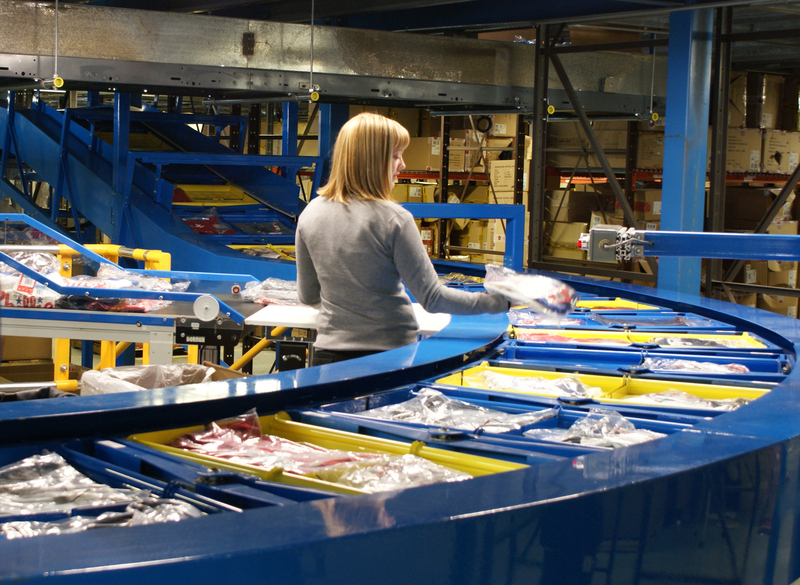 SORTRAK G4 provides up to 18,720 trays per hour past a single point and can make left and right turns. Such layout configurations are made possible by the patent-pending chainless design. The drive mechanism is mounted at multiple points throughout the system, which enable almost any configuration imaginable. • Noise level below 75 DB which enable almost any configuration imaginable.